According to a report by the Ellen MacArthur Foundation and the World Economic Forum, by 2050, there will be more plastic floating around in the sea than fish, with about a truck’s worth of waste dumped into our waters every minute. The report has helped push for bans on single-use plastic items around the world and created a tidal wave of movements pushing for us to recover from our addiction to plastic. Store foods in glass jars or Pyrex-like containers. Buy cheese and meat from a dairy and butcher, or deli counter, and ask them to wrap your purchase in paper rather than plastic (or in your own container). If you drink milk, buy it in reusable glass bottles. Shop at farmers markets, using your own reusable cloth bags. Replace grocery store plastic bags with your own reusable cloth bags. Buy or make a couple of cloth bags specifically for bread from the bakery. Buy foods like peanut butter, as well as laundry soap, shampoo, and other products in bulk, using your own glass or metal containers. 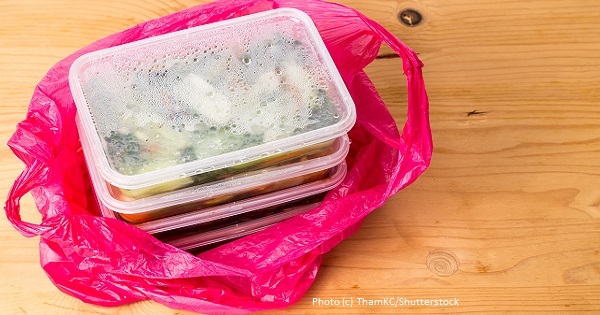 Avoid take-out food, or take your own non-plastic container. Invest in stainless steel ice cube trays and popsicle containers. Pack work/school lunches in reusable metal containers and paper or cloth bags. If you can’t find foods like yogurt, juice, and condiments in glass containers, make your own at home. Make your own ice cream, or buy it from an ice cream parlor and have them pack it into your own reusable container. Buy eggs in paper cartons and return them for reuse or recycling. Give up bottled water and take your own from home in a refillable container. At coffee shops, take your own mug or, if you’re not having it “to go,” ask for a china mug. If eating out, refuse plastic straws, plates, and cutlery; instead, carry your own stainless or bamboo cutlery, glass or metal straw, water bottle, etc. Avoid personal care products containing plastic microbeads and that are packaged in plastic. Use cardboard-packaged baking soda for cleaning and personal care. Buy or make wooden and cloth toys for your children. Download music from online stores rather than buying records or CDs; watch films online or borrow DVDs from the library. Avoid synthetic clothing and the resulting microfiber pollution in favor of natural fibers. If all else fails, and you must buy something that’s packaged in plastic, refuse the packaging. You can make a substantial statement to the store staff/owners as well as your fellow customers by opening the packaging on the spot and leaving it behind. This is most effective if you can explain what you’re doing and/or leave behind a written explanation of the problem with plastic packaging. If you must buy something that’s not available in anything other than plastic (cat litter box, computer, for example), buy second hand. 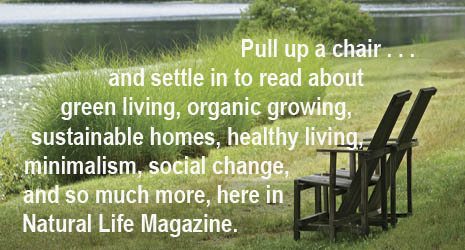 Wendy Priesnitz is the author of thirteen books, including Natural Life Magazine's Green & Healthy Homes.